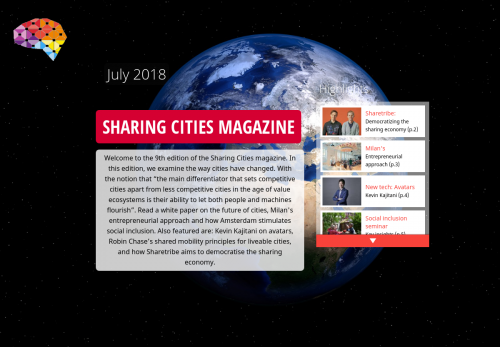 Welcome to the 9th edition of the Sharing Cities magazine. In this edition, we examine the way cities have changed. With the notion that “the main differentiator that sets competitive cities apart from less competitive cities in the age of value ecosystems is their ability to let both people and machines flourish”. Read a white paper on the future of cities, Milan's entrepreneurial approach and how Amsterdam stimulates social inclusion. Also featured: Kevin Kajitani on avatars, Robin Chase’s shared mobility principles for liveable cities, and how Sharetribe aims to democratise the sharing economy.